Recently, the domestic market research agency, CCM International Limited released the latest “Chinese delta-Gluconolactone(GDL) Market Research and Forecast Report”. The report has mainly studied the delta-Gluconolactone(GDL)’s industry trends, production export analysis, technical analysis, consumption areas from 2006 to 2010, predicting the supply and demand situation of delta-Gluconolactone(GDL) in different areas. The report points out that China is one of the world’s leading delta-Gluconolactone(GDL) manufacturers. In 2010, the production of delta-Gluconolactone(GDL) is about 16,000 tons. From 2007 to 2011, the compound annual growth rate is about 1%. During this time, due to the impact that the global financial crisis, as well as production costs have increased, the production in 2010 was slightly lower than that in 2009. 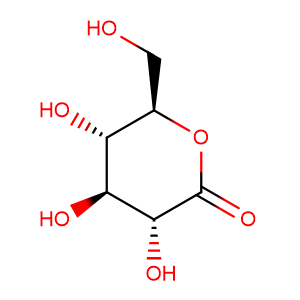 At present, there are about 10 factories manufacturing delta-Gluconolactone(GDL) in the world. Anhui Xingzhou Medicine Food Co., Ltd. is the largest enterprise to manufacture delta-Gluconolactone(GDL). In 2010, the enterprise manufactured about 4,800 tons of delta-Gluconolactone(GDL), accounting for 30% of the total output in China. In China, the fermentation technology using glucose or corn starch as raw material has been very mature. At the same time, there are two main fermentation methods. One is the calcium salt method, the other one is the sodium salt method. Although the fermentation method is more environmentally friendly than the chemical method, but it still pollutes the environment. Due to the domestic increasingly strict environmental policy, manufacture costs are predicted to increase. Research shows that China is the world’s leading delta-Gluconolactone(GDL) exporter, and domestic delta-Gluconolactone(GDL) exports about 2,700 tons in 2010. In 2010, different downstream industries of delta-Gluconolactone(GDL) consumed a total of more than 13,000 tons, such as food, medicine and so on. Food industry consumption accounted for 93% of total consumption. Among food manufacturing enterprises, tofu is the largest areas consuming delta-Gluconolactone(GDL). The rapid development of the domestic food industry, as well as the demand for harmless food additives will lead to that the domestic demand for GDL will continue to increase in the future. In the first half of 2011, exports rose to about 2,100 tons. In 2010, Egypt, Germany and South Korea were the top three countries purchasing China’s delta-Gluconolactone(GDL).The researcher Zhang Chao from CCM International Limited think: with the recovery of foreign economies and the rapid development of the domestic food industry, the awareness of food safety is strengthening. delta-Gluconolactone(GDL), as a harmless food additives, is used more widely, and the production and demand of delta-Gluconolactone(GDL) will gradually increase.